View nearby houseboats, unique waterfront businesses and yacht clubs. 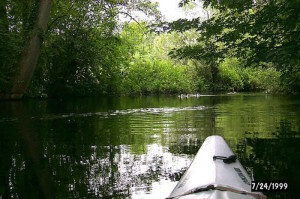 Paddle to the back of Portage Bay and surround yourself with nature. This trip is approximately 2 NM and will take about 1 hr. Great for small children or a limited timeframe. 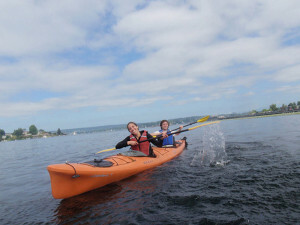 Paddle through the Montlake Cut into the Arboretum. Wander the water trails around Foster Island through lily pads and under foot bridges. You may catch a glimpse of resident and migratory birds such as bald eagles, great blue herons, coots, wood ducks and grebes. Watch out for beavers and muskrats! This trip is approximately 2.5 NM and will take between 1 – 1.5 hrs. For a longer trip bypass the Arboretum and head to the east side of Lake Washington and visit the quaint shops of downtown Kirkland (12 NM; 3.5-4 hrs). 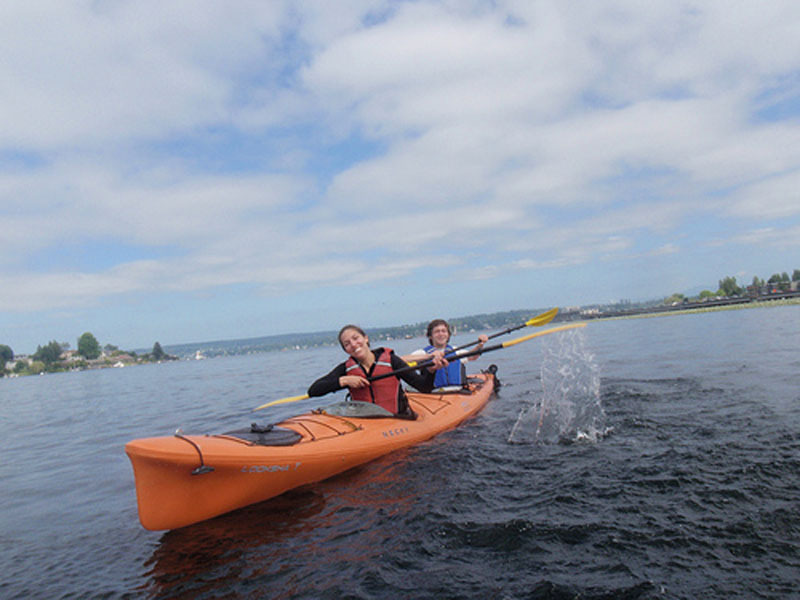 Pack a lunch and head south on the lake to Madison Park Beach to eat and swim (6 NMs; 1.5-2 hrs) or paddle north up to Warren G. Magnuson Park (8 NM; 2.5-3 hrs). 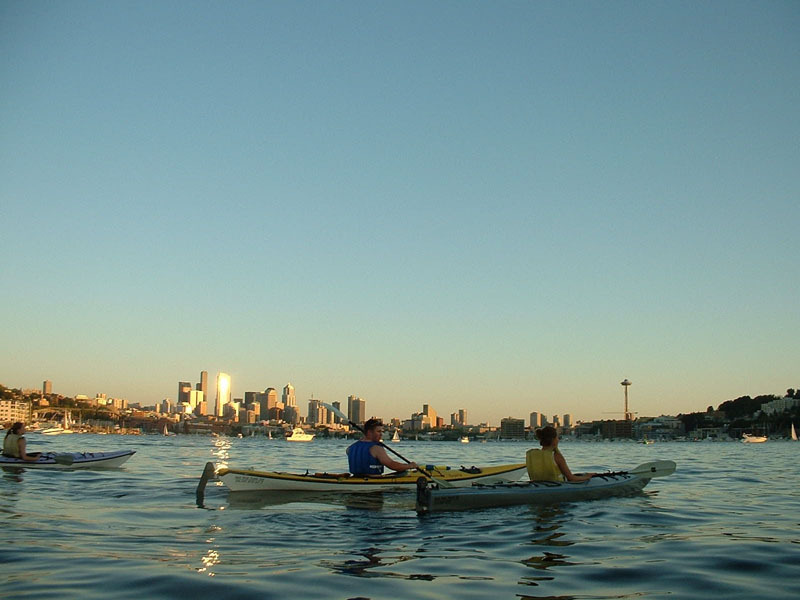 For an urban paddling experience head west and find stunning views of Seattle’s skyline. 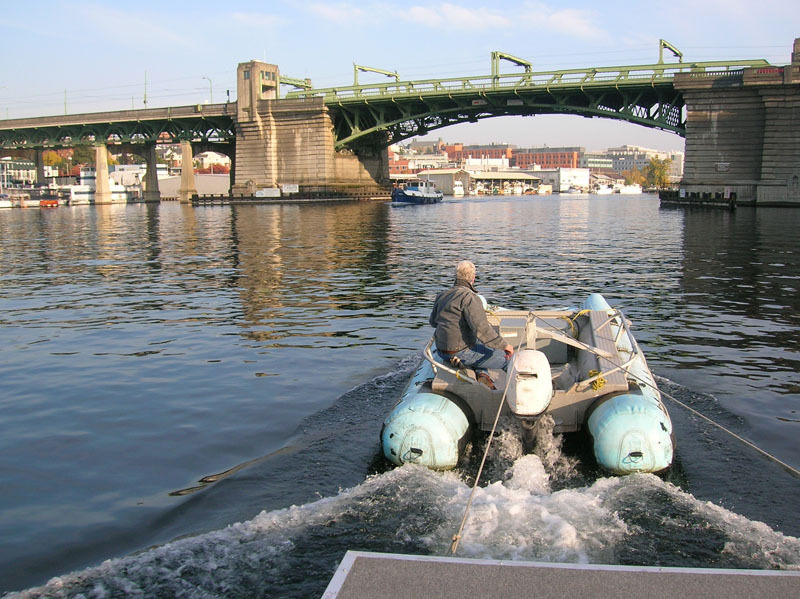 Float past eclectic houseboats, crew houses, and city marinas. Head towards Gas Works Park (3 NM, 1-1.5 hrs), past Fremont and up to the Ballard Locks (8 NM, 3-3.5 hours). During the salmon run view salmon jumping as they finish their ascent up the fish ladder. 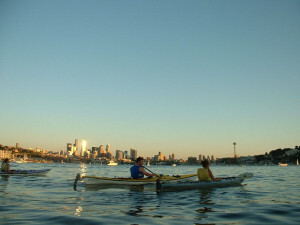 Or circumnavigate Lake Union for a closer view of the city (4.5 NM, 2-2.5 hrs).